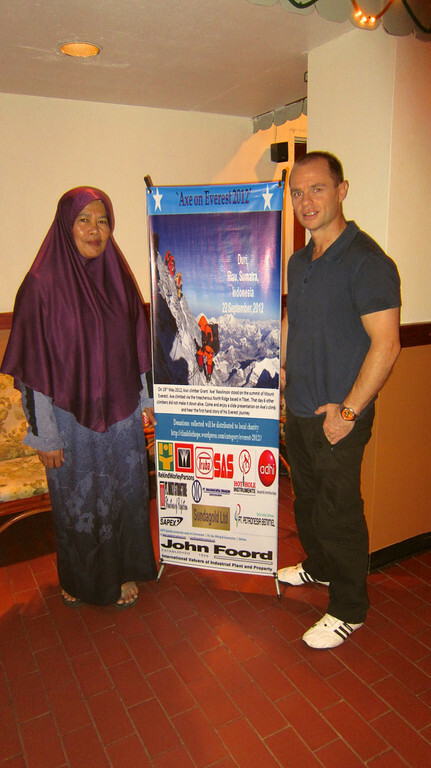 During 22 – 23 September 2012, together with my wife Stephanie we traveled to Rumbai and Duri, Riau, Sumatra, Indonesia. 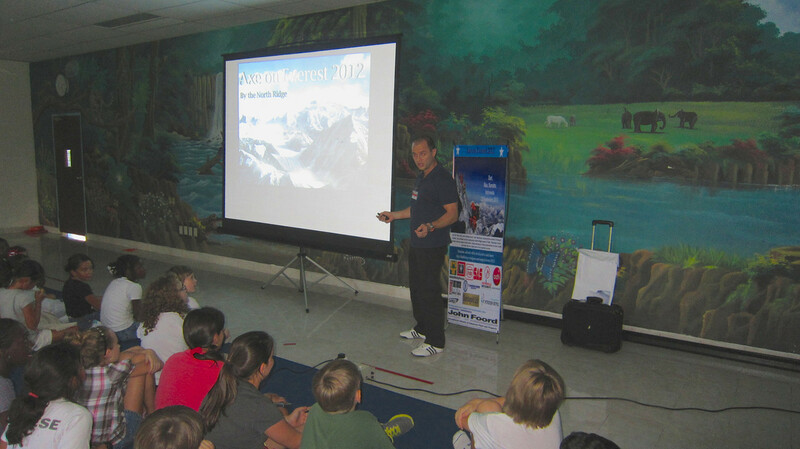 Here we visited two schools and the Chevron onshore oilfields. 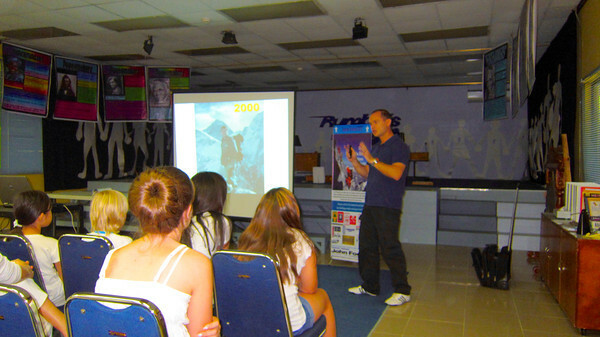 During the weekend I gave 5 ‘Axe on Everest 2012’ presentations to various sections of the local community, each highlighting the fulfillment of dreams, having a passion, motivation, setting goals, mental control, time management and planning. The weekend was arranged by good friend, ex-mountaineer and fellow kiwi, Mr Greg Moore and his lovely wife Yoke and family. As a result of the weekend, US $2000 was raised in support of three local orphanages. Stephanie and I were lucky enough to have the opportunity between presentations to visit one of the orphanage’s named Sayang Omak. It was a very basic structure which housed over 30 children in two separate rooms. The money raised will definitely be very helpful in improving their facilities. It was a hectic yet immensely rewarding weekend. Having grown up in a remote part of the world where I attended primary school with less than 10 children in the entire school, I have a fondness, an understanding and an instant connection with small communities. People are so friendly in small communities. Throughout the weekend we had the honor of meeting many lovely and interesting Indonesian people as well as many others from various parts of the world. Stephanie and I would like to express our sincere thanks to the sponsors who supported the weekends events (sponsors listed on the flyer below). Also a huge thank you to the tireless work of Mr Greg Moore and wife Yoke, for their planning, preparation and 1st class hospitality during the weekend. Attached below are some photo’s from the weekend activities and from our visit to the Sayang Omak Orphanage. All photos are copyright to Greg Moore. 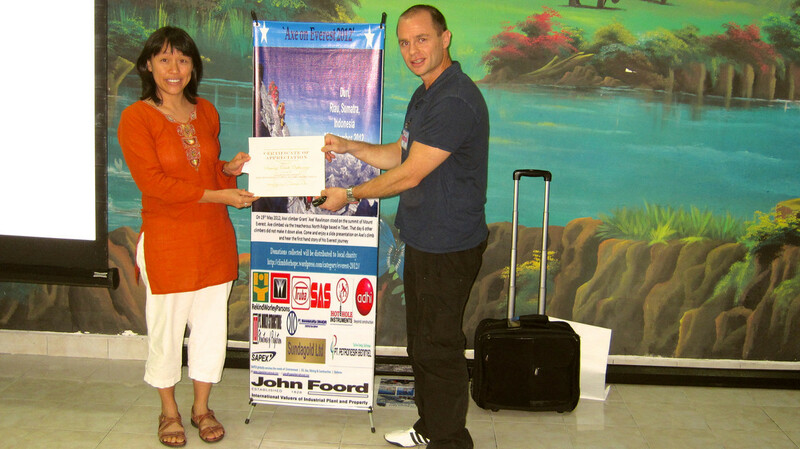 Being presented the International School Rumbai’s donation to the local orphanage as a result of the presentation. 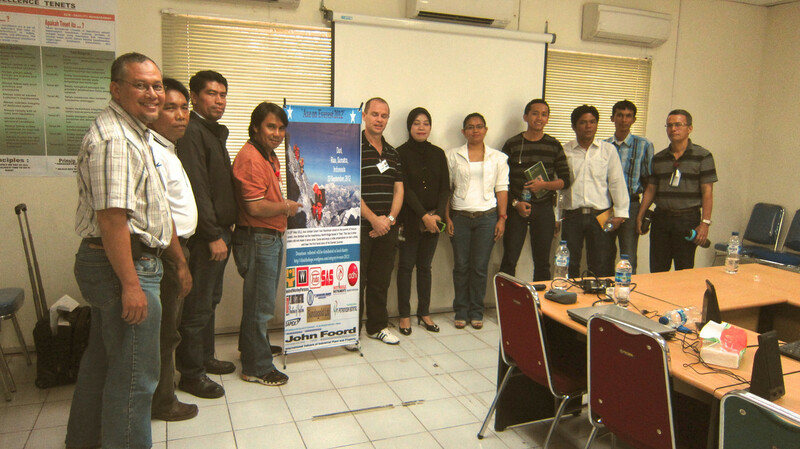 Being presented the American School, Duri’s contribution to the orphanage. 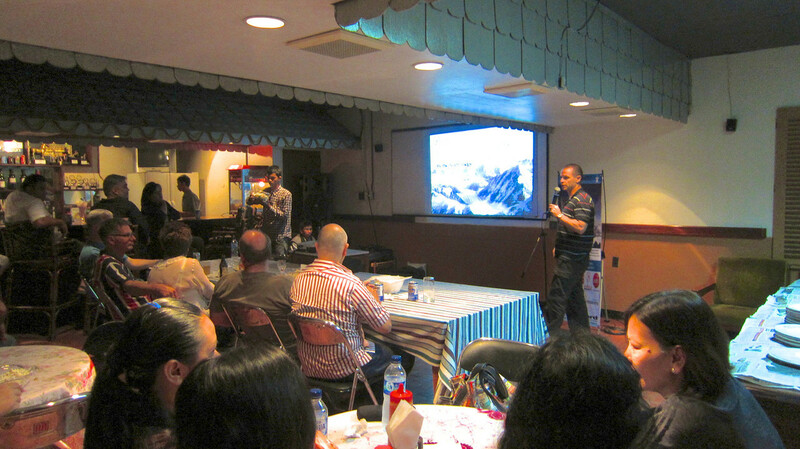 Presenting to Chevron contractors in the RekindWorleyParsons Office. The Sayang Omak orphanage. 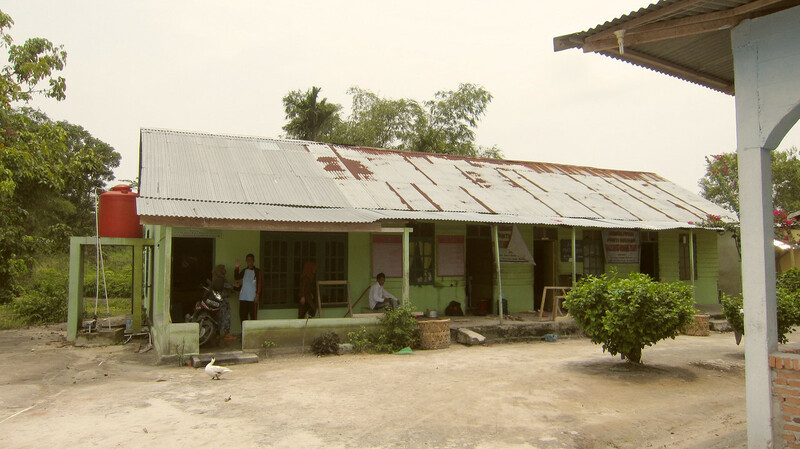 A basic home for over 30 students. With some of the students (L to R in middle: Robby, Aslina, Mariana) and staff from Sayang Omak orphanage. 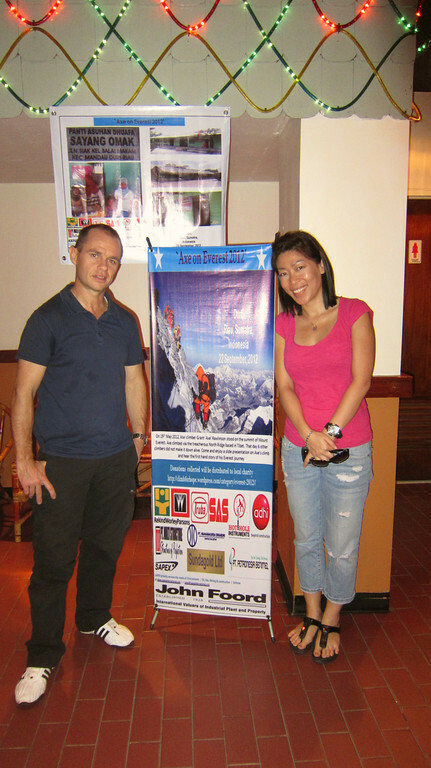 I presented them with ‘Axe on Everest’ postcards and a poster. This little man ‘Bayu’ is the youngest member of the orphanage and has a huge smile. 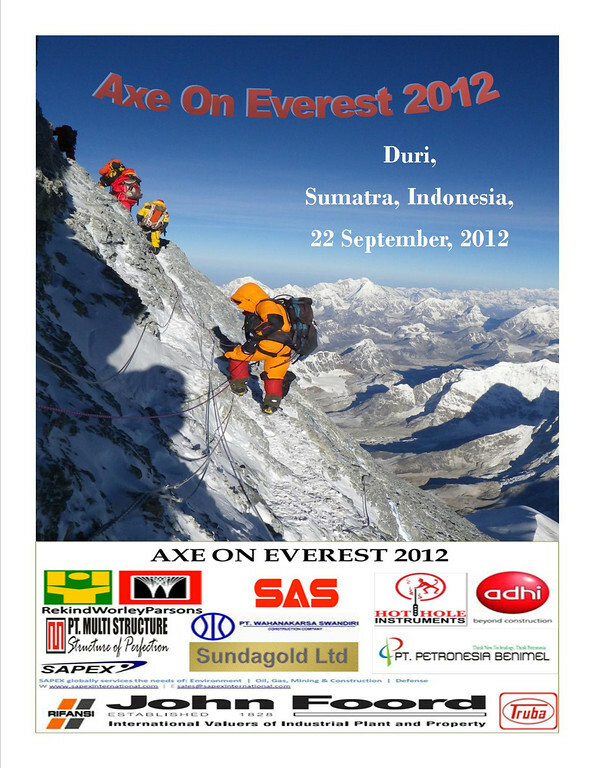 Posted on September 30, 2012, in Everest 2012, Speaking. Bookmark the permalink. 7 Comments. Axe, what a great experience for everyone with whom you’re sharing your story. Aside from the financial assistance that provides great support to the community…. sure your inspiration will last a lifetime. You impressed me much when you did the climbing. You even impress me more now. Great stuff mate, you’re a great ambassador for the Kiwis! If the opportunity or such arrises in your travels where you think agganging a working volunteer weekend vist is fruitful, please let us know. I and I am sure others would be happy to come and help as best we can. Cheers.